By Daniel Smrokowski, founder of SpecialChronicles.com. Saturday, Sept. 26, 2015, the Special Olympics movement celebrates the 6th annual “EKS Day,” or Eunice Kennedy Shriver Day. 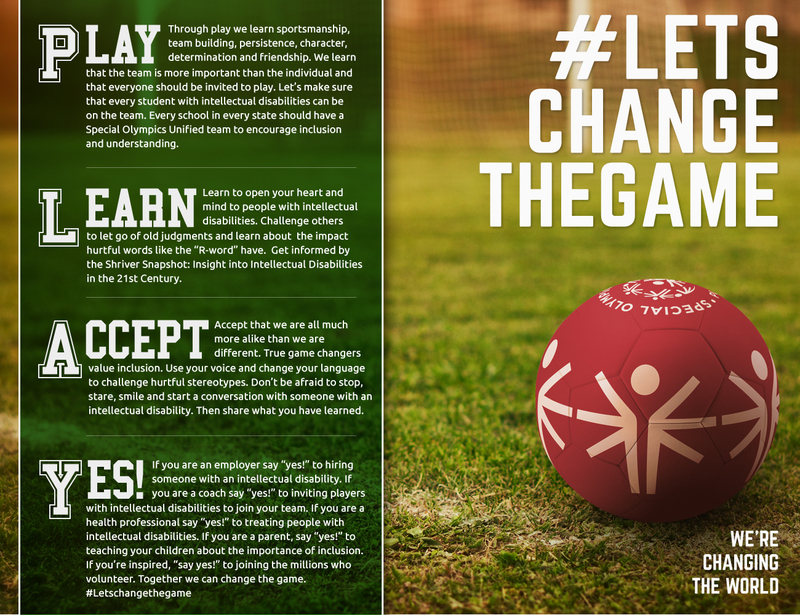 This year celebrates the theme of #LetsChangeTheGame. On this EKS Day, the Special Olympics movement celebrates the ideals of their founder Eunice Kennedy Shriver with their annual “EKS Day.” EKS Day celebrates the life, legacy, and vision of Special Olympics founder Eunice Kennedy Shriver. Through sport, Mrs. Shriver sought to make sure that all people with intellectual disabilities felt included and respected in their communities. Join us and let’s get outside and PLAY together and #LetsChangeTheGame for acceptance and inclusion. Watch a short video message from our friend & chairman of Special Olympics, Tim Shriver on Celebrating Eunice Kennedy Shriver Day. Listen to a bonus archived podcast- LA2015 Bonus Update Podcast: Special Olympics Press Conference and hear directly from Maria Shriver and SO CEO Janet Froetscher to learn more about the new PLAY #LetsChangeTheGame challenge. How are you going to celebrate “EKS Day” this year and change the game for acceptance and inclusion? Share your stories in the comments below, On Air, and on social media by tweeting@SpecialCPodcast with hashtag #LetsChangeTheGame.